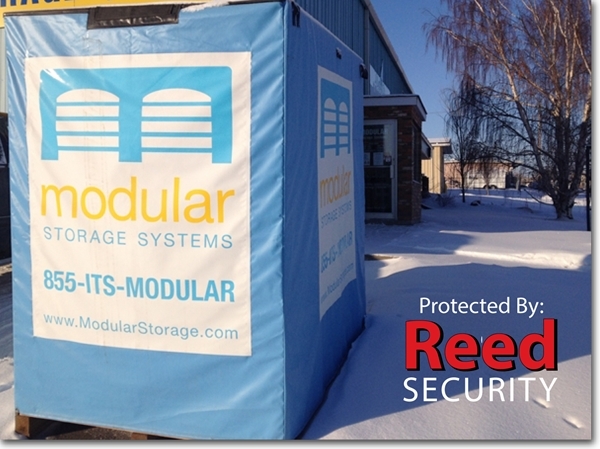 Modular Storage Systems recently partnered with Reed Security to protect their newest self storage facility in Sutherland (331-103rd Street East) . Thanks Darrell! Optional: ReedHD Smart Camera Technology. Cameras can detect intruders and notify the client. The client can talk down to the site or trigger loud outdoor sirens and strobe lights. "Hey! You in the Red Jacket...the Police Are On The Way!"